Good news, Outlander fans! Starz announced today that their Golden Globe-nominated original series, Outlander, will premiere its fourth season this November 2018 and has also been renewed for seasons five and six! The announcement was made by Chris Albrecht, Starz President and CEO, in association with Sony Pictures Television. 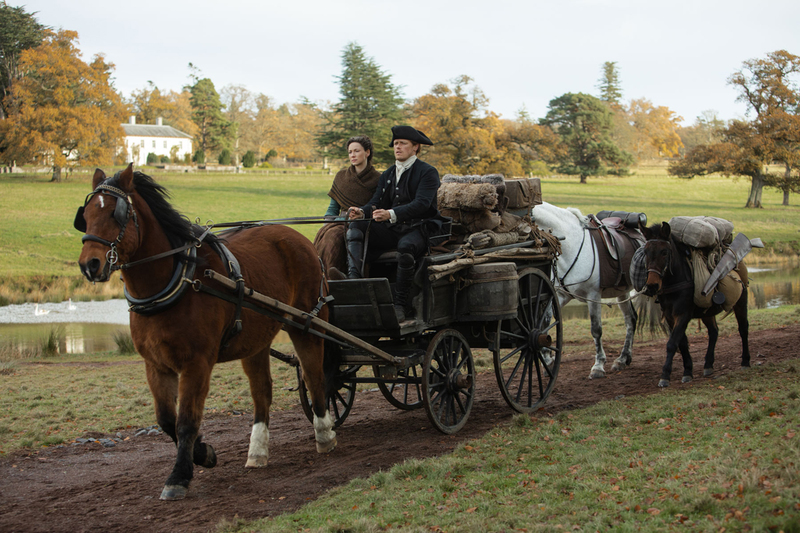 You can check out the new Outlander season four images in the gallery below! “Fans can rest assured their beloved Claire and Jamie will be back facing new challenges, adversaries, and adventures in seasons five and six as we delve into American history and continue the story of the Frasers as they settle in the New World,” said Albrecht. Adapted from Diana Gabaldon’s international best-selling books and executive produced by Ronald D. Moore, Maril Davis, Toni Graphia, Matthew B. Roberts, and Andy Harries, Starz will continue to partner with Sony Pictures Television on this multi-book, 24-episode pick-up for Outlander. Seasons five and six will each play out over 12 episodes respectively and will be based on material from the fifth book in the Outlander series, entitled The Fiery Cross, as well as the sixth book in the series, A Breath of Snow and Ashes. The fourth season of Outlander is currently shooting on location in Scotland and will include 13 episodes based upon Drums of Autumn, the fourth of eight books in Diana Gabaldon’s international best-selling Outlander series. The upcoming season continues the romantic adventures of Claire (Caitriona Balfe) and Jamie Fraser (Sam Heughan). The critically-acclaimed third season of Outlander averaged 5.8 million multiplatform viewers per episode while averaging 5.1 million multiplatform viewers for all three seasons. 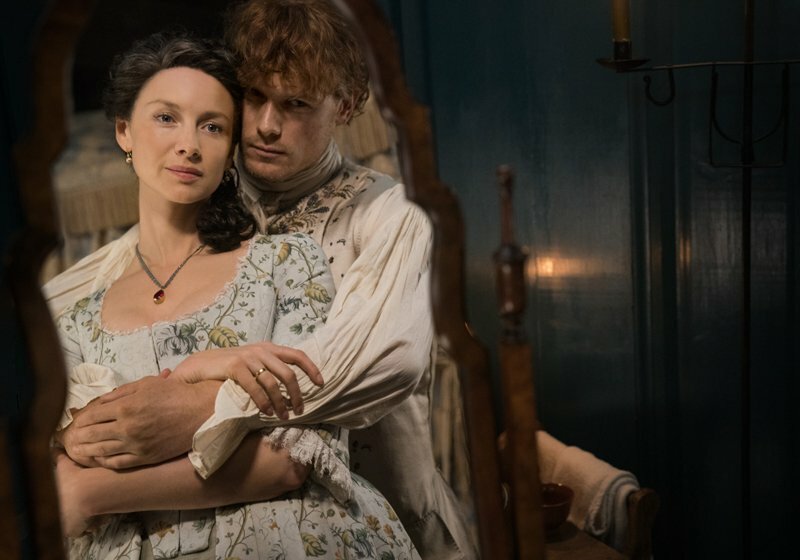 In 2017, Outlander was the second-most viewed premium scripted series among women (behind Game of Thrones) and was regularly a Top 5-rated cable drama with women. Outlander is one of only six current premium scripted series to increase its episode premiere ratings in Season 3 from Season 1. The Outlander television series is the hugely successful drama based on Diana Gabaldon’s eight-book Outlander series that has sold an estimated 30 million copies worldwide with all the books having graced the New York Times best-sellers list. The Outlander series spans the genres of history, science fiction, romance and adventure in one amazing tale. Outlander is produced by Tall Ship Productions, Story Mining & Supply Company and Left Bank Pictures in association with Sony Pictures Television. The post Outlander Renewed for Two Seasons and Will Return This November! appeared first on ComingSoon.net.